Being a Disney Princess is good when you’re living in a fairy-tale world filled with princes, dragons, fictional heroes, and sweet fluffy love stories. But what if they lived in the real world? They would still be fierce, beautiful, and kind-hearted, but with a modern twist. 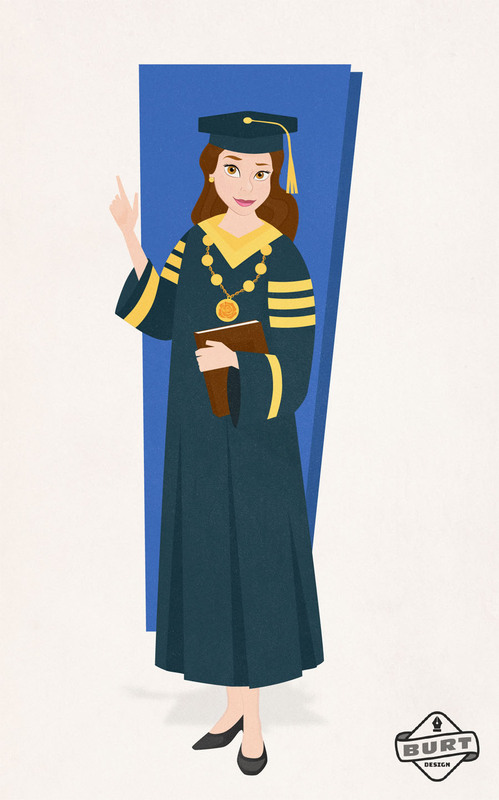 Matt Burt, a graphic designer, wanted to depict Disney Princesses as powerful larger-than-life characters worthy of the royal title in ways that don’t include being born into a royal family and spending all your life in a wealthy environment. He envisions them as empowered modern women building successful careers and having real impact on the world around them. 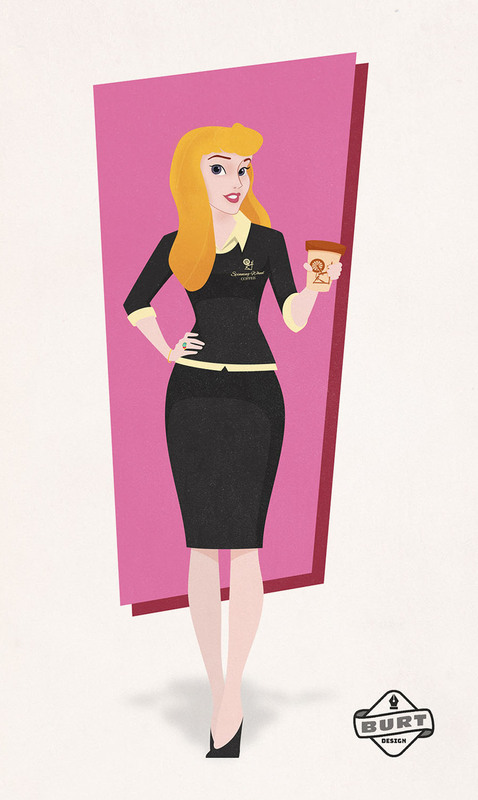 Here are Disney Princesses reimagined as modern women. Ariel’s passion for singing made her career choice quite easy. She writes her own songs and has become a real hit with her song “Part of Your World”. 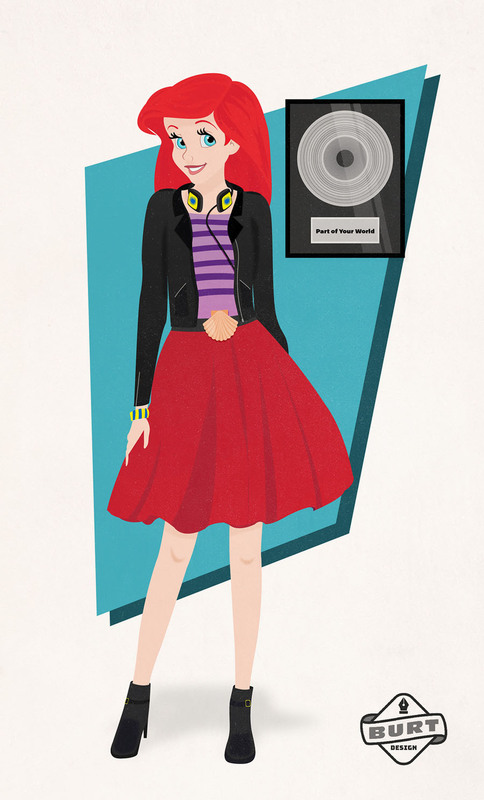 She didn’t stop there and started her own recording studio Seven Seas Records. 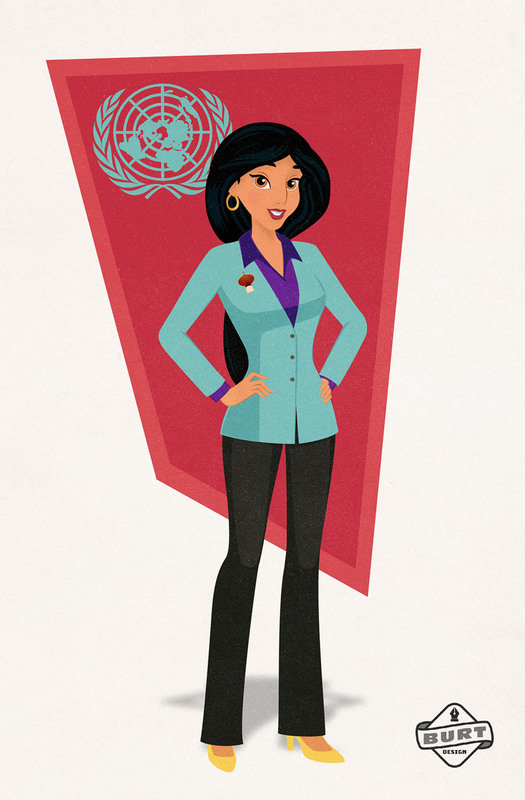 Jasmine is a known fighter for women’s rights and a representative of her own country Agrabah in the United Nations. Her main objective is to see that women are treated well all across the globe. 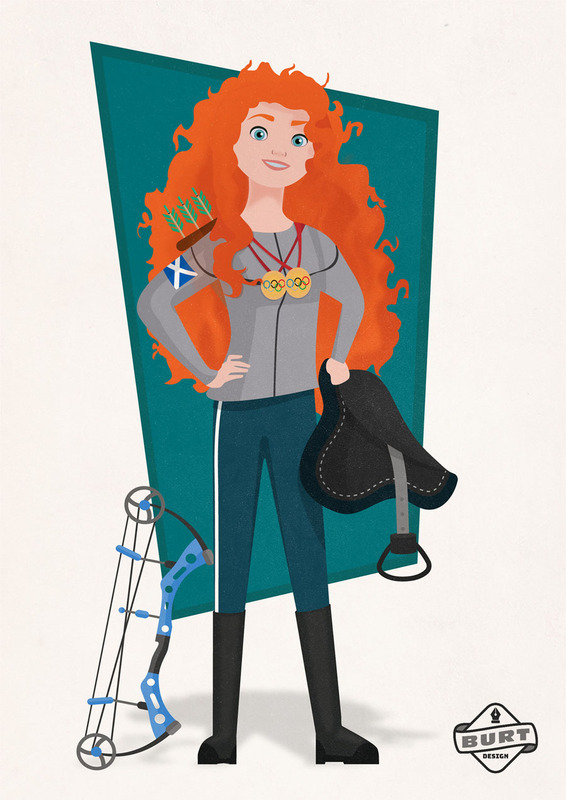 Merida is not afraid of competition, in fact, she’s quite good at it! Having competed for her own hand in marriage (and winning, should we remind you), Merida went on for competing in the Olympics, too. She’s won gold medals in horseback riding and archery, but isn’t planning on stopping there. Moana is a natural leader and feels at home in the ocean. 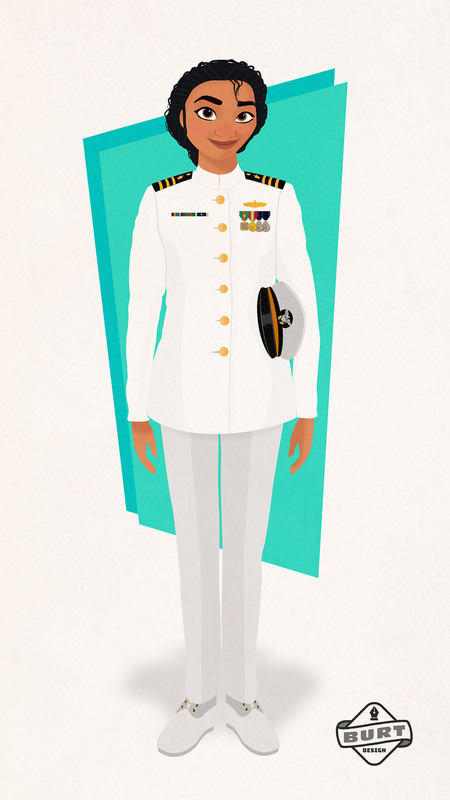 It doesn’t come as a surprise that she decided to become part of the Navy and quickly made her way to the top of the career ladder becoming a lieutenant commander. 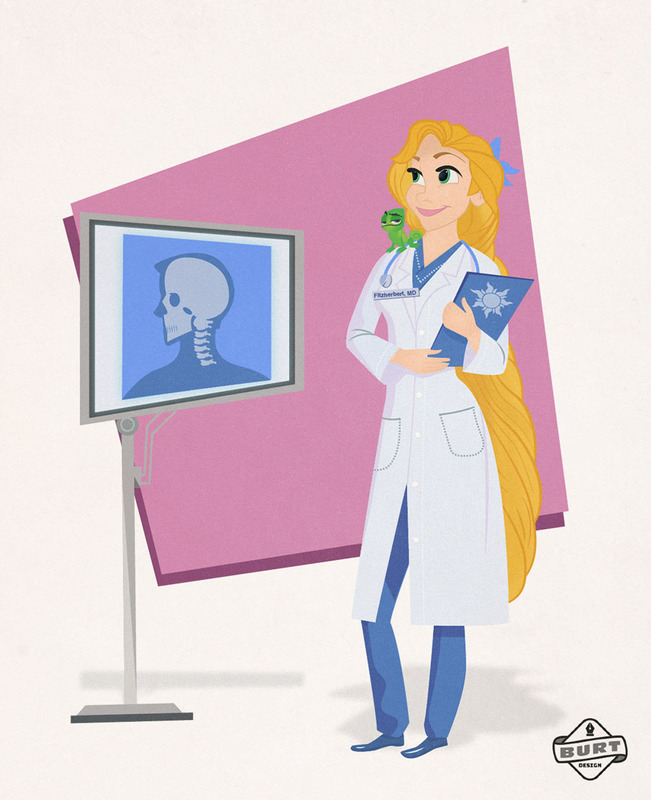 After getting married and reuniting with her family, Rapunzel went to medical school and studied to become a neurologist. She provides amazing medical care and is one of the leading neurologists in the country! We all know that Cinderella is good with animals – some go as far as to say she can actually speak their language! 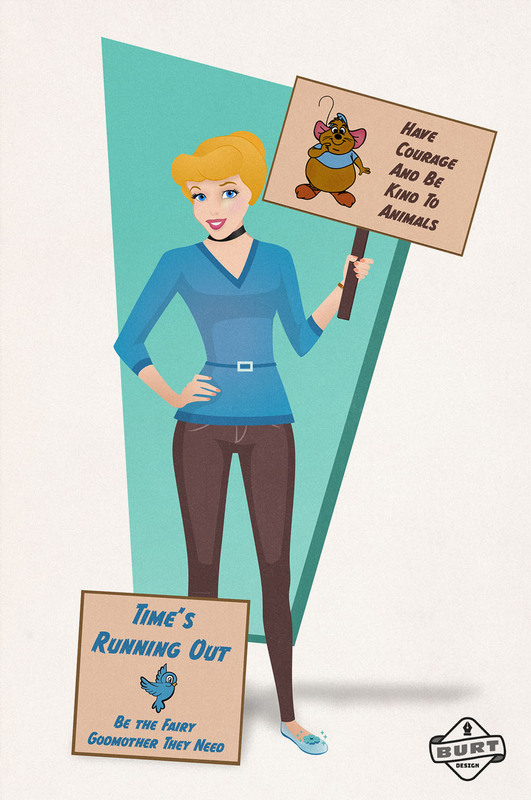 Whatever the case, her love for animals inspired Cinderella to become the animal rights activist and help people understand that animals should be treated with kindness and care. 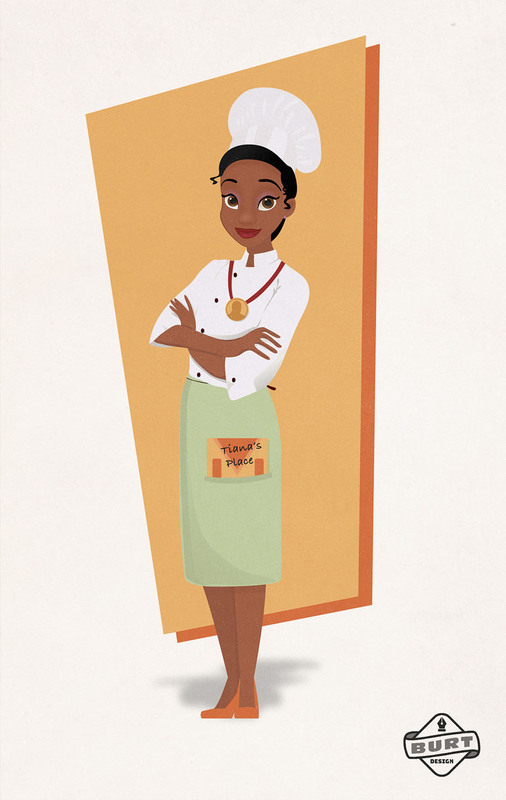 Being fond of cooking since childhood, it was natural for Tiana to become a chef and open one of the most known restaurants in the country. She’s also won the James Beard Award, but that didn’t stop her from continuing to experiment with new dishes and special flavours. 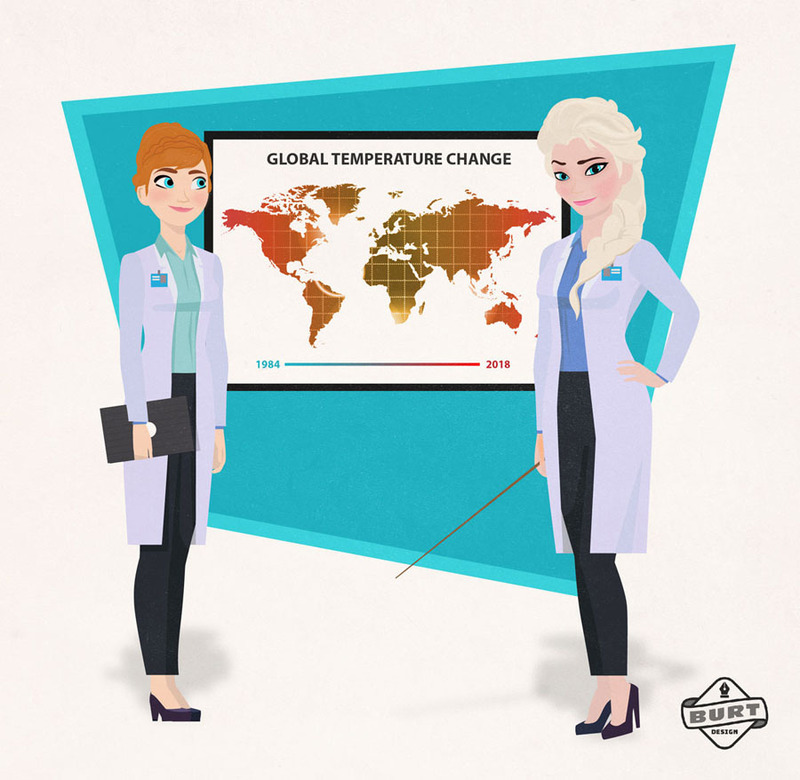 Elsa and Anna definitely know a thing or two about temperature and climate change. That’s why they’ve chosen to become professionals in the field, providing accurate information about global climatic change. 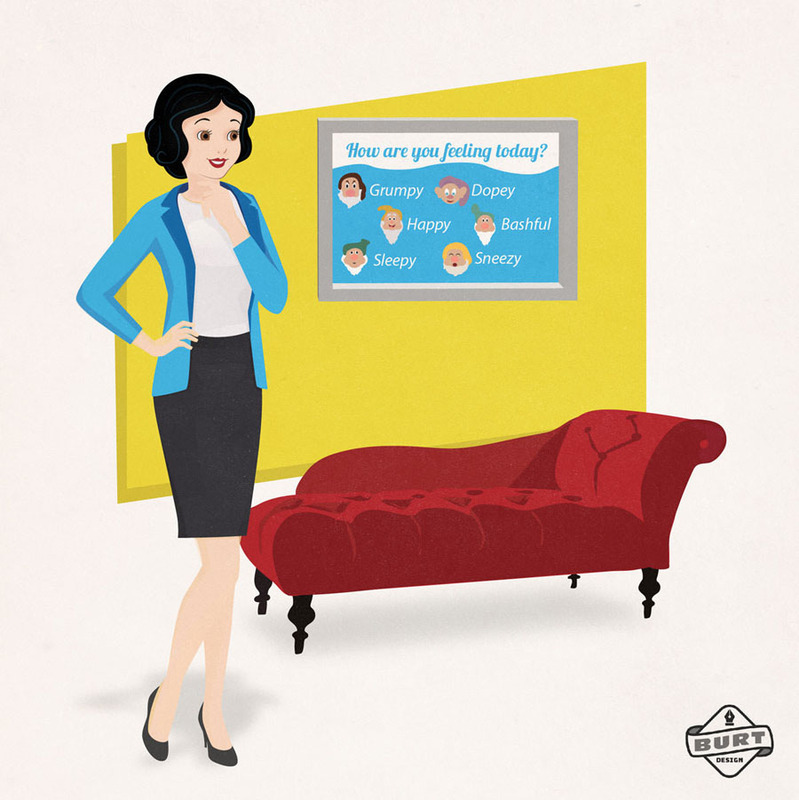 Belle has loved books and knowledge since she was a little girl, making her future career an easy сhoice. She went into academia and studied hard to be able to educate other people. Right now she’s a university chancellor and works hard to provide equal education for all the students. Pocahontas has spent a lot of time growing up in the nature, which provided her with deeper understanding of its importance to humankind. 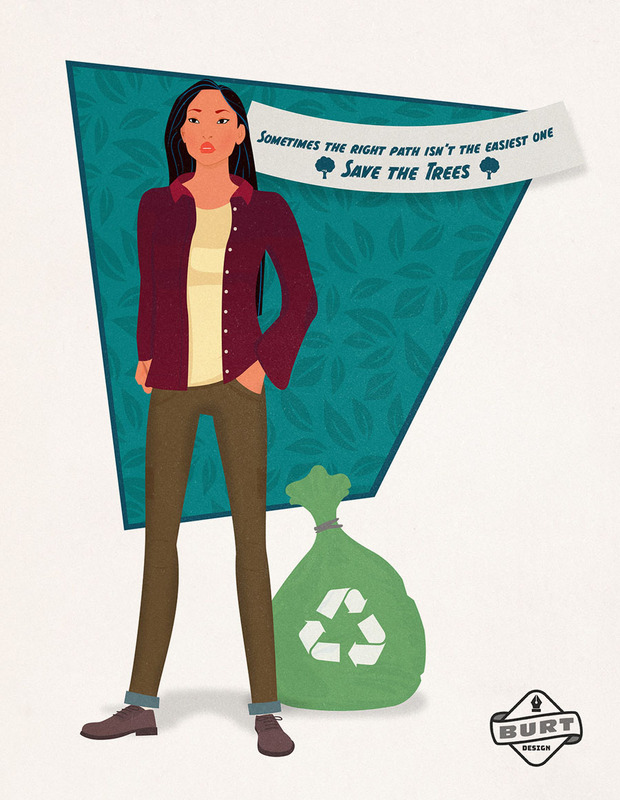 She realizes that everything is connected, that’s why it is so important to protect our environment and natural resources. Snow White has always been a caring person despite all the hardships she experienced while growing up. All this gave her the strength and will to get the necessary education and become one of the leading psychologists in the field. Mulan has faced inequality in its various forms both in the family and in the military. 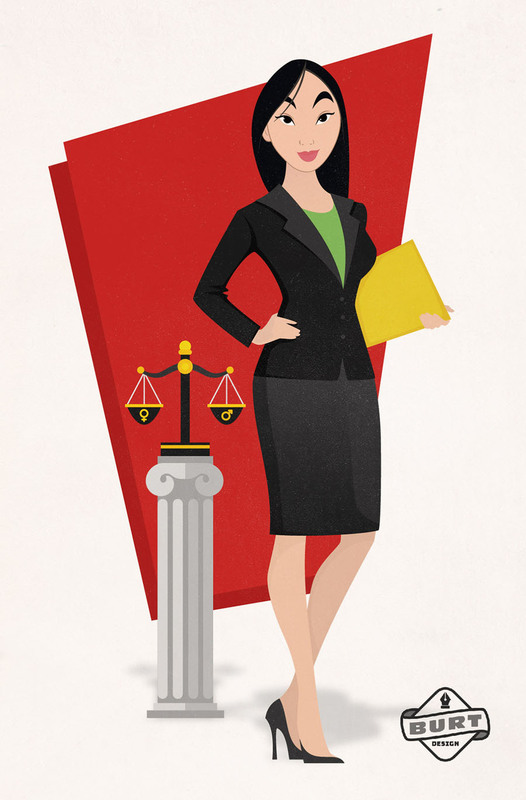 That inspired her to get a lawyer’s degree and help all those people, men and women, who are facing similar struggles in life. Aurora, the Sleeping Beauty, knows about sleep and being awake more than anyone. She decided to help others wake up and stay awake and active during the day. And what better way to do that than drinking high-grade yummy coffee? Right now she’s the founder of one of the leading coffee chains in the country – Spinning Wheel Coffee.